President Cyril Ramaphosa’s son Andile is in the media spotlight over payments from Bosasa, a company at the centre of a major corruption scandal, says media house News24. Andile Ramaphosa admitted to the payment in an interview with News24 investigative journalists. The media organisation tells how, in an exclusive interview, Ramaphosa Jr confirmed details of a News24 investigation spanning several months. News24 says that, in December 2017, Ramaphosa Jr’s company, Blue Crane Capital, signed an “advisory mandate” with Bosasa, resulting in it being receiving a monthly retainer fee of R150,000, which was later increased to R230,000. “It was a severe oversight on our part,” he said of the glaring red flags he claimed to have missed before putting pen to paper. “It is clear now with the benefit of hindsight that our due diligence was insufficient in retrospect of my father’s role going into the Presidency,” Ramaphosa Jr said in a written response to follow-up questions from News24. “Both Ramaphosa Jr and his father previously refused to divulge details or the value of the agreement despite Promotion of Access to Information Act requests and questions in the National Assembly,” says News24 reporter Kyle Cowan. Who benefited from BOSASA payment? Is it Andile Ramaphosa or @CyrilRamaphosa? Andile Ramaphosa has been the target of investigation by News24 journalists for some time. “Ramaphosa Jr admitted that he received around R2m from the controversial facilities management and technology company. 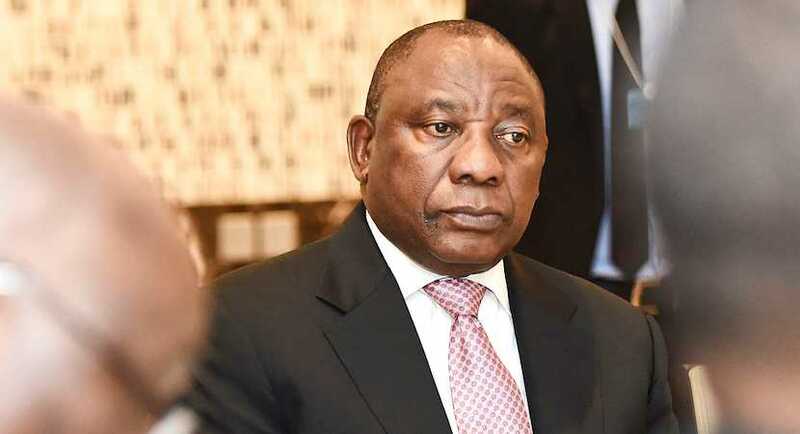 These payments were made over the course of 10 months in 2018 and started in the month that Ramaphosa became head of state after ousting the corrupted Zuma as head of state,” explains News24. According to News24 editors, Andile Ramaphosa was supposed to link Gavin Watson’s firm to business opportunities, but the relationship ended around the same time when the company’s former chief operating officer Angelo Agrizzi took to the stand at the Zondo commission of inquiry into state capture. Andile Ramaphosa has denied using influence to help any party gain business. He added that the issue of a R500,000 payment, which came to light again during evidence before the Zondo commission into state capture on Tuesday, was “distinct and unrelated” to the contract Blue Crane had with AGO, said News24. October 2017 – Bosasa CEO Gavin Watson donates R500 000 to President Cyril Ramaphosa’s ANC presidential campaign, in a transaction that was designed to be hidden from scrutiny. There is a link through Chinese security tech giant Dahua Technology, the world’s second-largest security and surveillance equipment manufacture. Bosasa is accused of corruption involving contracts for the Department of Correctional Services. Data from National Treasury shows Bosasa and its subsidiaries were paid at least R12bn in the past 15 years, says News24. In an editorial, News24 highlights that the scandal is a political risk for Cyril Ramaphosa. “While there is no allegation of any illegal activity on the part of Ramaphosa Jr, there is no doubt that his relationship with a company so deeply embroiled in state capture carries severe political risks for his father,” say its editors. “Bosasa/AGO seemingly was a company that spent millions of rand to bribe government officials, elected representatives and capture the ANC in order to score billions of rand in government contracts. “Ramaphosa’s aims are to clean up the state, restore good governance and eradicate corruption. “These efforts will be undermined by his son’s involvement with a company deeply involved in capture and will provide fodder for political opponents who believe that the Ramaphosa government is impotent to act against graft and malfeasance,” says News24 in its editorial. "I will be the first to make sure [Andile Ramaphosa] becomes accountable… Even if it means that I am the one who will take him to the police station." “If there is anything more to Ramaphosa Jr’s relationship with Bosasa, the time to come clean is now – because the Zondo commission has shown that the truth has a tendency to come out. Even if it takes time,” it adds.